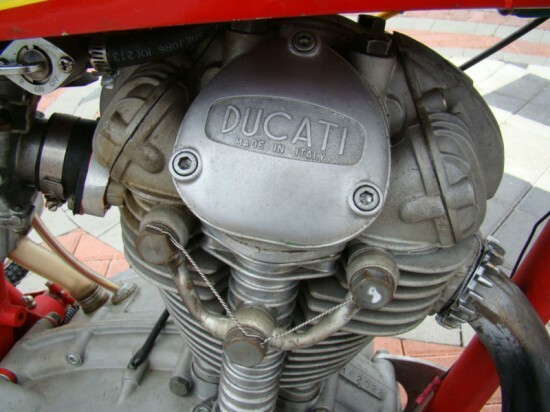 Ducati and motorcycle road racing are synonymous, they go and sound like nothing else! 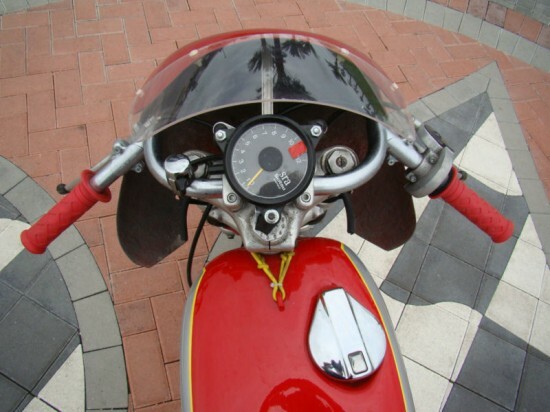 This bike is a very cool piece, can be used as a weekend track bike and a sculpture when not carving out corners. I really couldn’t have said it better. 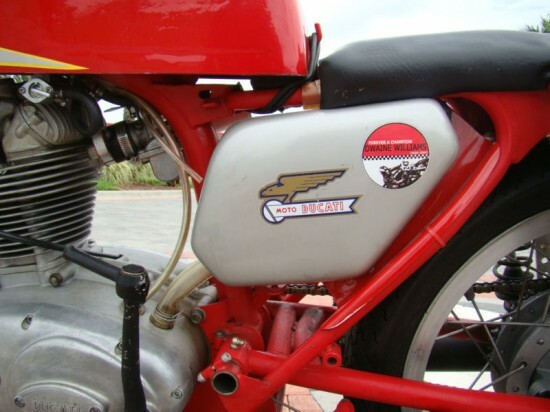 There is something about a single cylinder racing bike. Its just fuel, air, compression, explosion and go. 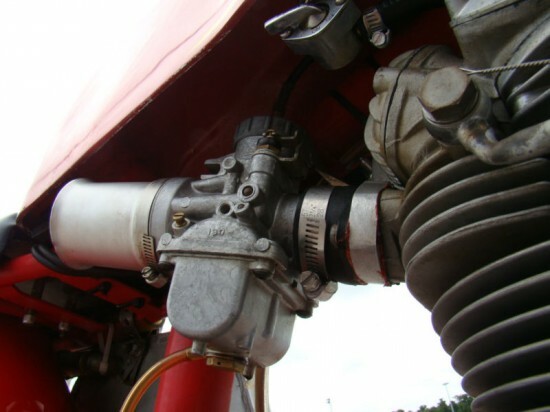 There doesn’t have to be any fancy timing, one cylinder, one spark plug. You get any more cylinders and you start to get complicated. 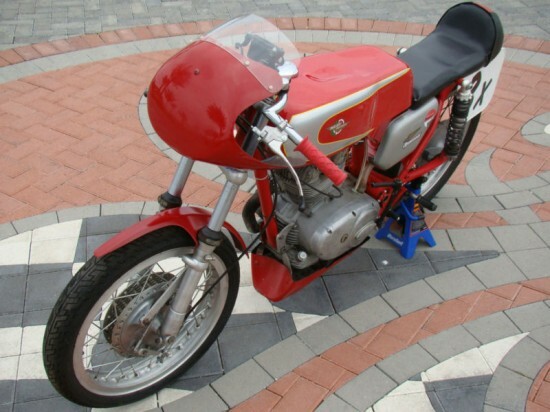 This 1965 Ducati Monza race bike is simple. Frame w/ swing arm/ rebuilt race motor/competition carbs., wheels, tires, swing arm outriggers, taper bearing mount, brakes shoes, Cerrani Front forks (shortened), S-arm bushings, handle bars, lower sets, shocks, chain, throttle and cable, ignition coil, fly wheel, stator, and grips . 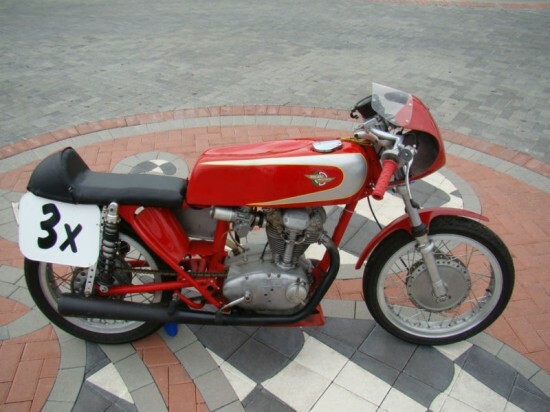 The bike is very presentable, I would favor a higher quality paint job, that said it is a race bike and it will do until the new owner customizes to suit their taste. It is NOT street legal and does NOT have a Title — Will be sold on a Bill of Sale only.